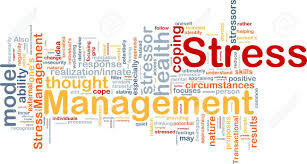 Stress can be titled something which has wide range of fatal effects on us. Stress hampers you not only mentally but also physically. Stress can be faced by anyone and mind you, it is not at all hereditary. Dealing with stress is tough and that too alone when you leave your family and loved ones can be even tougher. When we suffer stress, we are less likely to focus on studies. This is, not to be mentioned, a serious problem for students. Your main purpose is to study and get your dream degree, and if you feel less determined even toward this and then you surely need help. You cannot go leaving your course (many students out of stress do this), and blame the tough and advanced curriculum. There will be many situations for you in life where you have to deal things alone. Consider this one as your first step. Stress is not an insurmountable thing, this can be conquered. Stress management when studying abroad is not as difficult as it appears. If you follow these simple rules then you can surely come out as a winner over it. Make yourself more organized and try to prioritize the work. If you plan things beforehand then you are less likely to get involved in the chaos. Do not pile up thing. A pile of incomplete work put you down. You miss the deadline once, twice and also may be thrice, this surely is a stress causing scenario. You not only get the pressure of completing so many things in a small time but also make you less efficient. Planning and organizing things simplify them. I mean would not it be great if you know the next week’s plan beforehand so that you can manage your things according. Well organising things leaves you with more of a leisure time for you. This means have a break! Okay as now you have saved yourself a little time when you have learnt the art of organizing and planning, spend this time for yourself. Some clubs, societies or may be play a sport; it can be anything. After all friends, all work and no play can do no benefits. We give a little rest to even our electronic devices when they are used for a longer time. So your body and mind surely deserves a down time after such vigorous schedule of college and university. Everyone deserves their special time. So it is a must guys! Do not occupy all your time with just work. We know it is good thing to make new friends and get to know new people, but you also keep your family and friend in contact from your hometown. Many a times a conversation with family and friends motivates and inspires you. If high calling rates are your hurdle then internet calling is the best solution for you. Apps like Facetime, Skype, etc are affordable and even let you see your loved ones. One thing you should take into consideration is to plan this conversation keeping the time zones in mind. If you are not planned then we doubt this conversation is hardly going to happen. Plan it and execute it. A talk with special someone always works to give you a boost. May be the special someone is also missing you the same way you are missing them. You should not stick to life back in your home town. You must enjoy your study experience. The earlier you accept the new life the easier your stay gets. You should try to get best of both worlds because a study abroad life is about balancing everything in a right manner. Frequent calls and messages may sometime make you feel little more depressed and gloomy. You need to tackle your nostalgia at this time. It is common to feel to join friends and family on big days but you get to know new people over here. This is equally the same. For suggestions and queries drop your messages in the comment box given below.